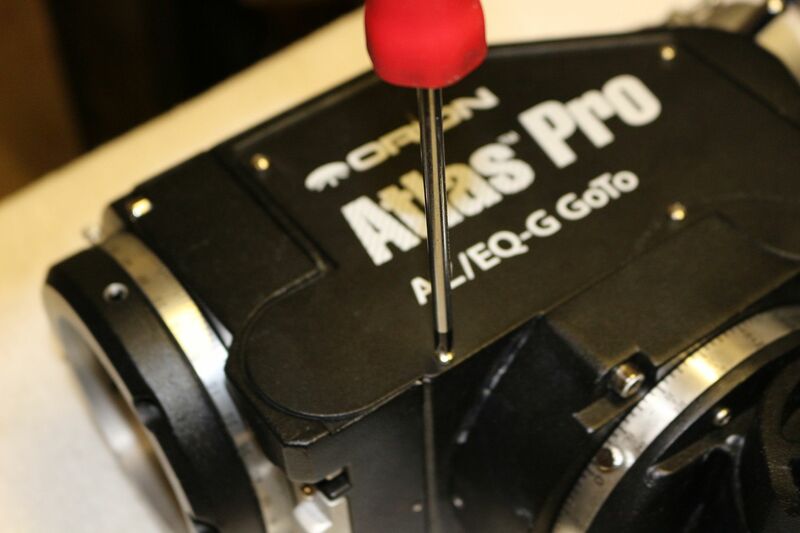 How to fine tune an Atlas Pro AZ/EQ mount! 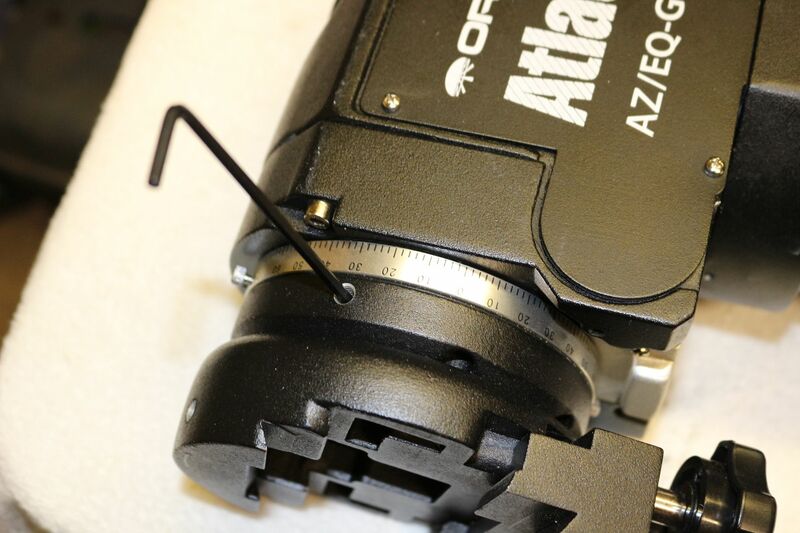 This is an easy check and tune up of the Atlas Pro AZ/EQ mount head. Many other heads in the EQ6 class are quite similar! It is really easy and only requires the minimum of 'tear down'. I am only doing the DEC axis but the RA is the same but similar. Here is the mount head off the pier and ready for it's TLC! I start by removing the dovetail mount shoe. You don't really have to do this but it makes it much easier to get to some things in the next few steps. There are 3 grub screws 3mm socket I think. Loosen all three and the head should come off easly. 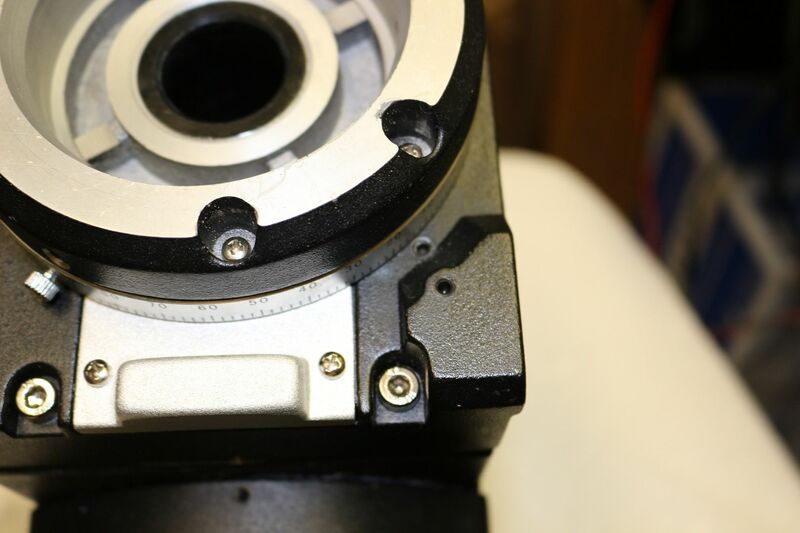 Now remove the stepper drive cover plate. 4 screws, easy. 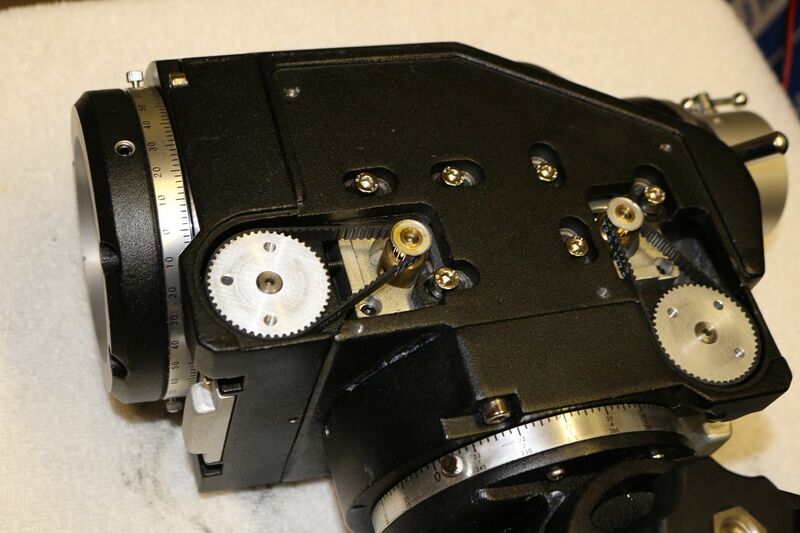 This reveals the stepper motors and their drive belts. 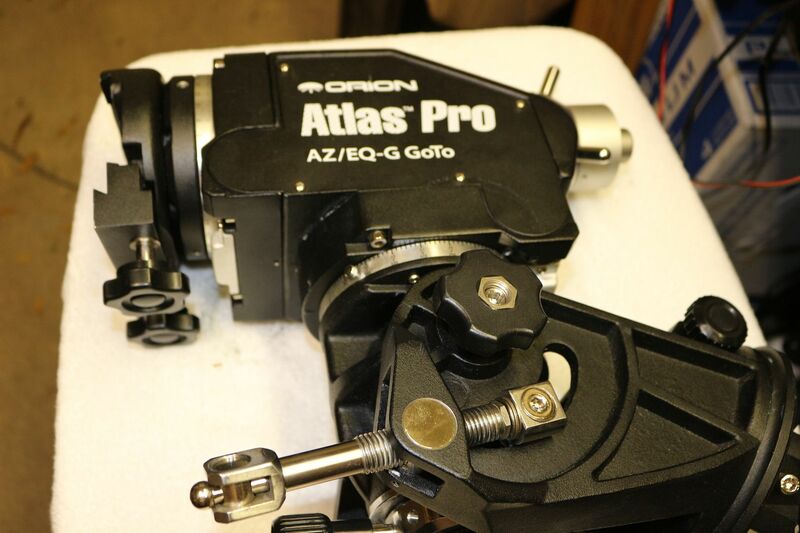 Re: How to fine tune an Atlas Pro AZ/EQ mount! 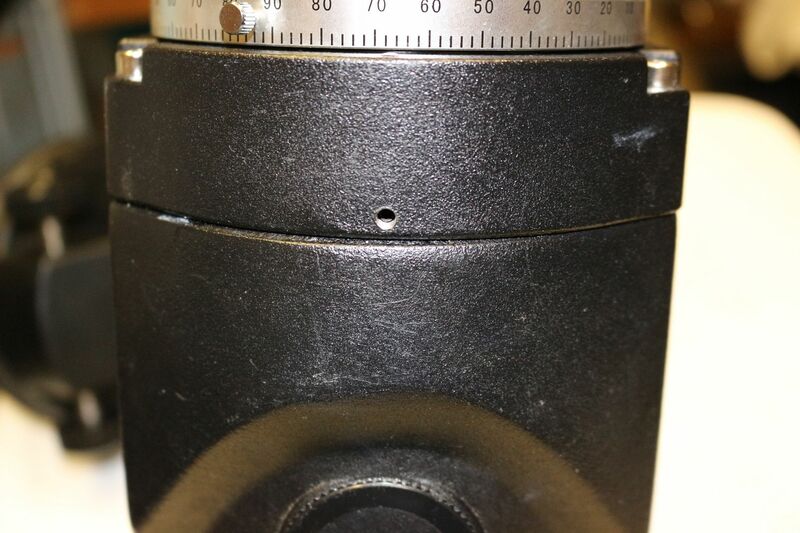 There is a grub screw that 'hides' the belt tension bolt its the upper one shown here. Remove it completely it is just a plug to fill the hole. Once its removed a 2.5mm (I think) hex key is inserted down into the hole and try to find the seat of the belt tension bolt. 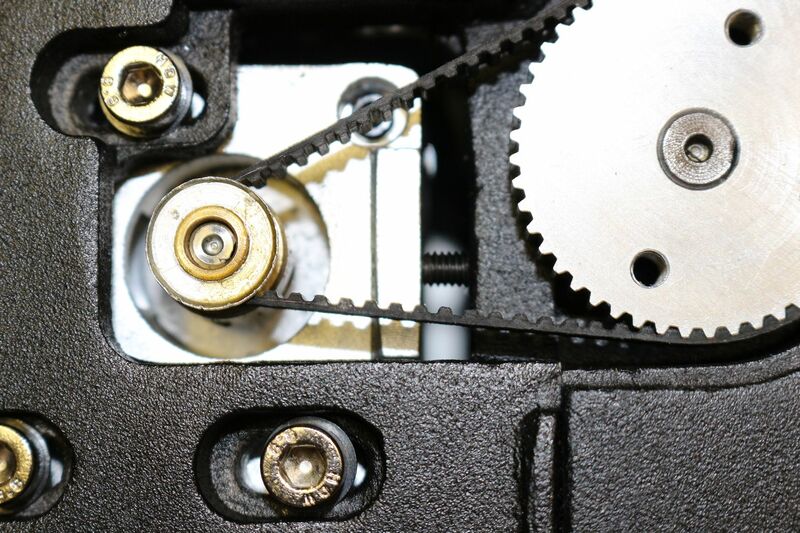 In this close up you can clearly see the belt tension bolt 'pressing' against the stepper motor. 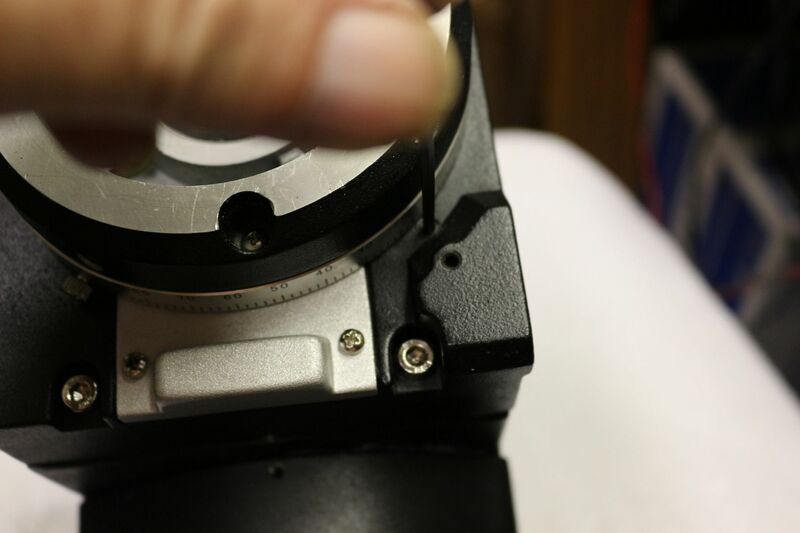 Back it off a ways, then loosen the 3 bolts that hold the stepper in place. 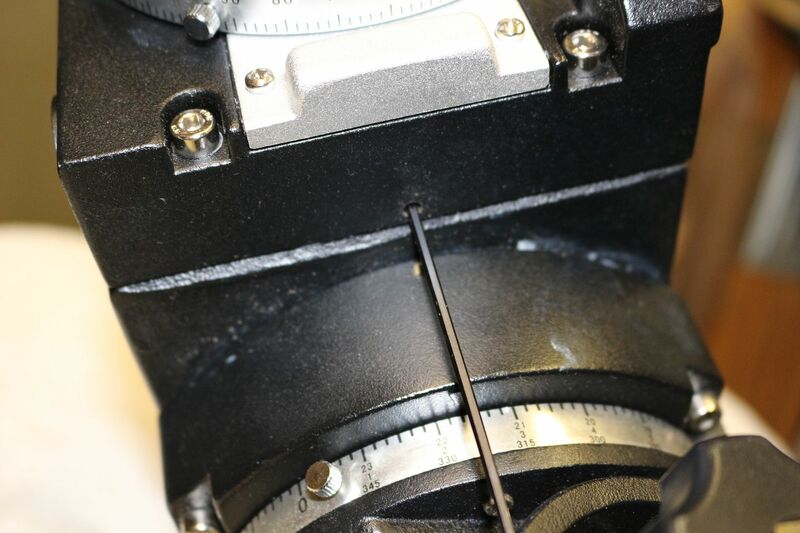 Once that is done you can move the stepper and put enough slack in the drive belt to remove it. bladekeeper and Dxer like this. Now loosen the 4 bolts that hold the carrier onto the heat. Just a little loose not too much. Just enough so the head can 'move' but not wiggle around or have slop in it. 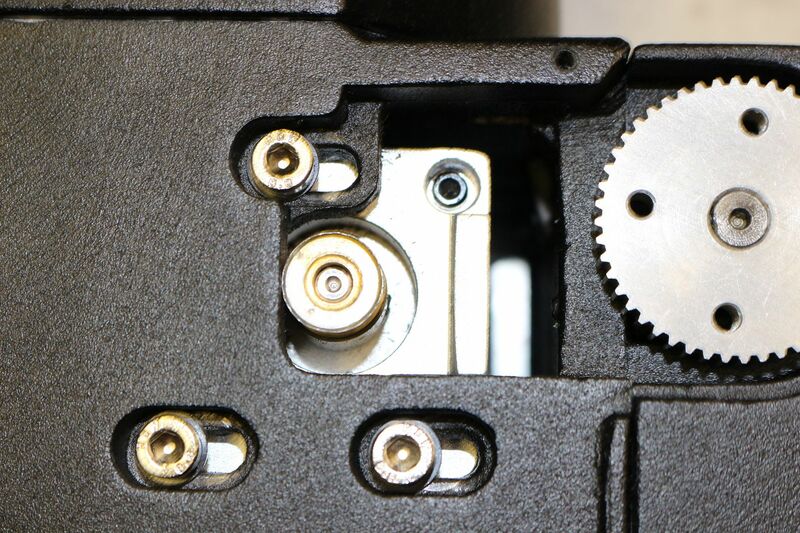 This little hole is the access to the bolt that adjust the gear mesh tension. This is what its all about This is the top hole, there is another on the bottom. I refer to the bolt in this hold as the 'pull' bolt the one on the bottom is the 'push' bolt. 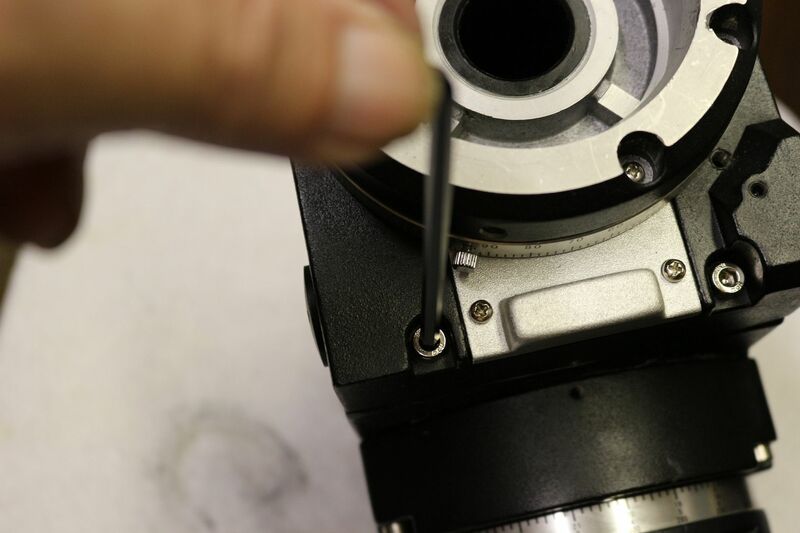 A 2.5mm hex key is used to adjust. Here is the bottom or the 'push' bolt. Prop the head up on a box or something so it can rotate freely without striking the table. Lightly tighten the clutch. Ever so slightly loosen the bottom 'push' bolt like 1/8 turn or less. Ever so slightly tighten the top 'pull' bolt like wise. 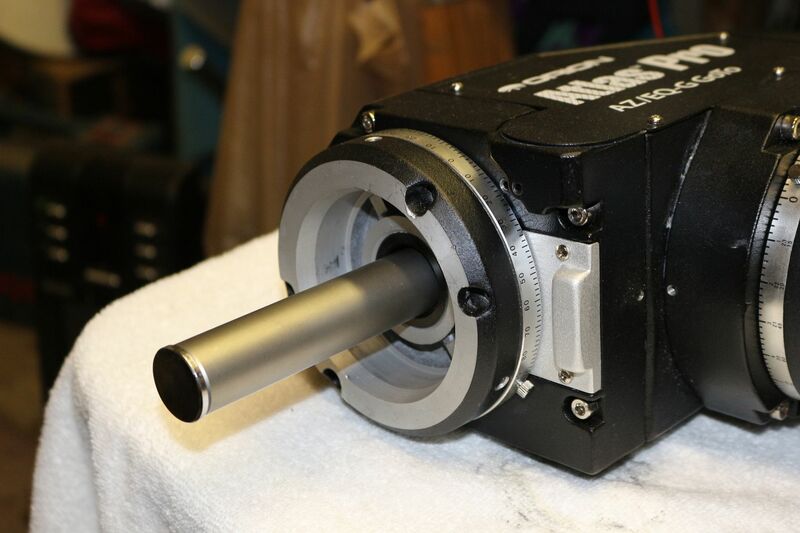 Stick something like a pencil or I used a paint brush end into one of the holes in the drive gear and spin it around. Do you feel a little resistance? If not repeat the above two steps very slightly until you do. 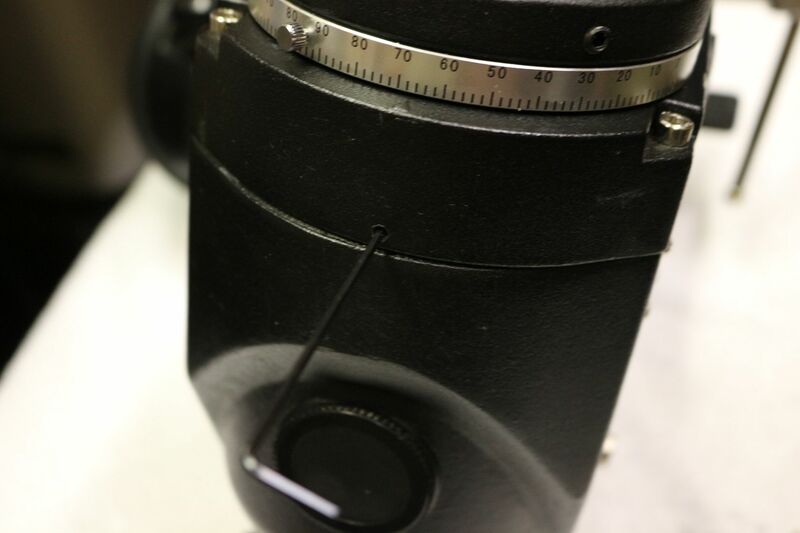 Now that you feel a little resistance slightly loosen the top bolt, and slightly tighten the bottom bolt. Tiny amounts, like a few degrees until you feel the resistance ease up. 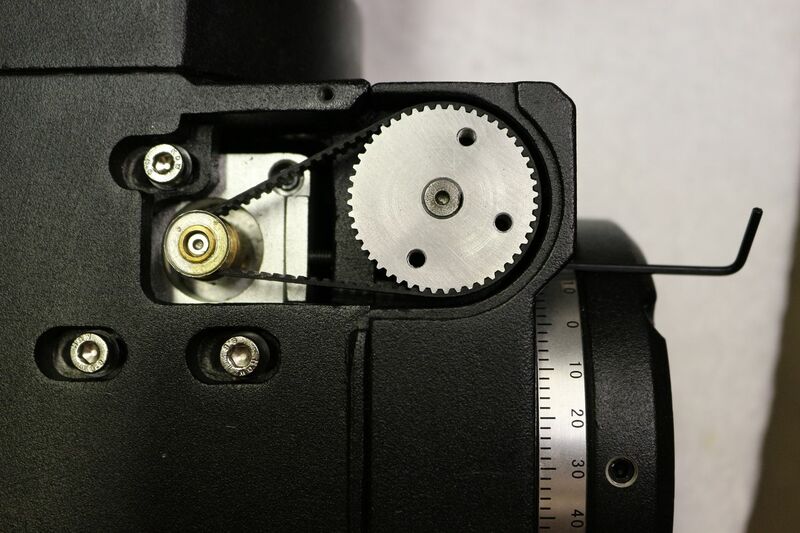 You can actually do this while spinning the drive gear and find that 'just right' zone. Almost done! Now spin the drive gear around and around until the head makes a complete revolution! Feel for any catches or drags as it is spun. You will probably find at least one spot that does. 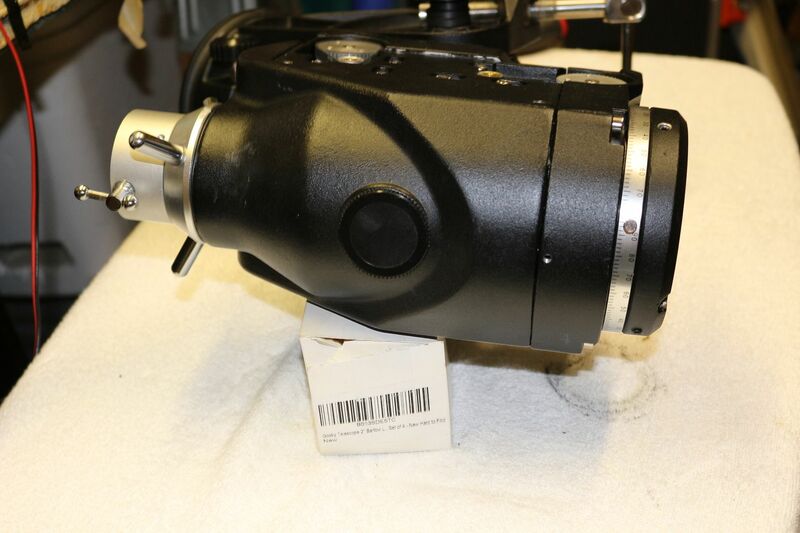 If you do make the slightest of adjustments as described above until you can spin the drive gear around and around and the head makes a full 360 degree revolution without any snags or binds. 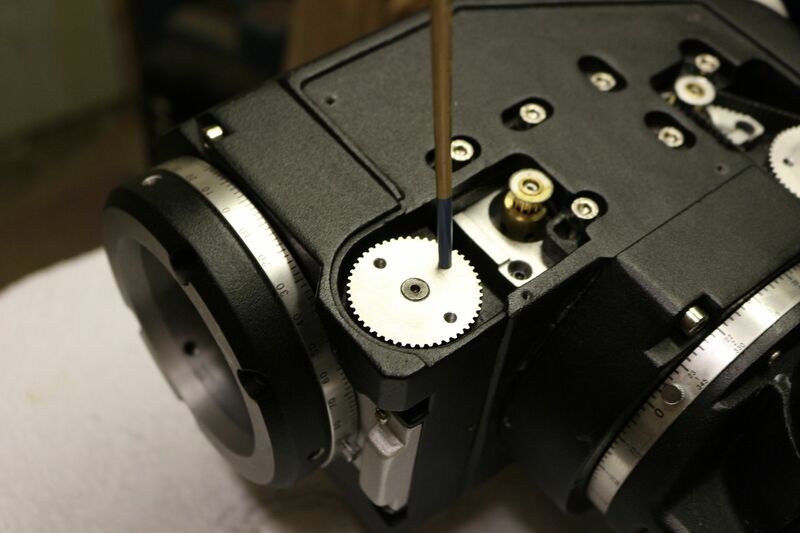 Now tighten the 4 bolts on the carrier head and double check the movement for smooth bind free movement. If it feels good your good to go! 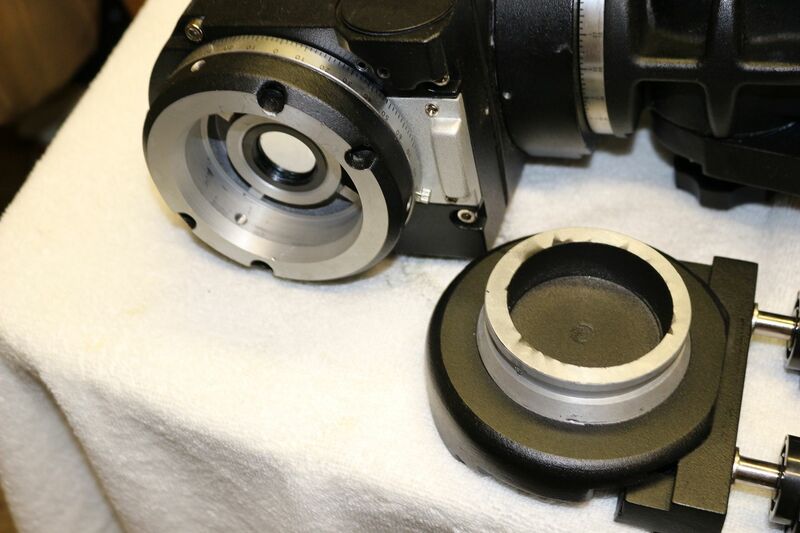 Just re-assemble in the reverse order and don't forget that dang weight bar Slip the drive belts on and adjust the belt tension screws till the belt is snug but not overly tight and tighten the 3 bolts that hold the stepper. This will probably will result in a small amount of backlash but that is the nature of the beast. Rest assured you have fine tuned your gear mesh Just balance a little east heavy and your golden. Congrats on a job well done ! bladekeeper, MikeWest and sketrip like this. Thanks, I had the head off because its supposed to rain here soon so figured I may as well check it. I do it a couple of times a year and with practice takes less than a half hour. Nice presentation, Tom! You did good, sir! Not sure of the parameters of that, though. I've never submitted one. Hrm that just looks like a sub section. Maybe just move the thread over there. It probably doesent belong in 'beginners' anyhow. Hmph! Might have to fine-tune my mount. SKYPRODIGY Users: Any way to "fine tune" aligning (as w/Meade 'sync' function)? places/persons recommended for mount tune-ups or repairs?